"We haven't got all day" is another. Any other favourites? TEFL Lemon 120-hour TEFL Course Review: Let's Get Started! In this TEFL review, our partner Stuart from TEFL Lemon shares his thoughts on the 120-hour TEFL/TESOL course from ITTT. Happy Easter..... Do you have any you'd like to share? How will I find a place to live when I teach English abroad? 🐣Your Easter Egg Hunt Is Over: Get 20% off any ITTT Course this Easter! 🐰This offer is valid for all ITTT online courses as well as the deposit payment for in-class courses from April 19th until April 23rd! 's cover photo Your Easter Egg Hunt Is Over: Get 20% off any ITTT Course this Easter! This offer is valid for all ITTT online courses as well as the deposit payment for in-class courses from April 19th until April 23rd! And what about "Between you and me...."? And there's always simple "Hi"..
Any more you'd like to share? Surely 'cough' should be there too? Any others you'd like to share with us? So....is it 'on the weekend' or 'at the weekend' for you? 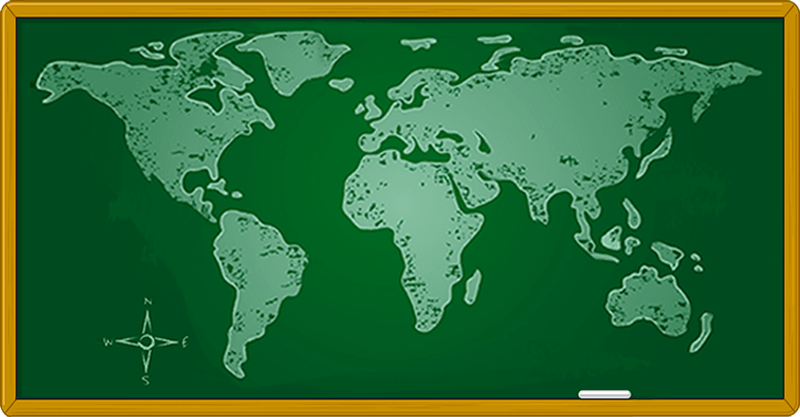 Among the tens of thousands of ESL teachers working overseas, it is relatively common to find friends or couples who set off to teach English abroad together. Beautifully presented, don't you think? Your students should get a lot out of this! Did you know that Israel has more museums per capita than any other country in the world? Head to Israel and explore them all! A useful table- but what do you think about 'to boot'? TAKE PRAGUE TEFL TO YOUR NEXT STOP! Join our 4-week in-class TEFL program in Prague and enjoy all its highlights! A useful chart, but avoid saying "It sounds wrong" to students as a teacher - try to show patterns of usage. A nicely presented summary, but "shall" should be there instead of "have to"
TEFL Lemon 120-hour TEFL Course Review: Unit 2 In this TEFL review, our partner Stuart from TEFL Lemon shares his thoughts on Unit 2 of the 120-hour TEFL/TESOL course from ITTT. This can certainly create some confusion! France is the most popular tourist destination in the world by visitor numbers, and it is equally popular with those looking to teach English abroad. Prague is one of the most popular places for EFL teachers in Europe. The Czech Republic makes it relatively easy for non-EU citizens to secure a work permit and the cost of living isn't as astronomical as in many Western European countries. Here are four amazing reasons, why Prague is the ideal place to teach English. Mosobo was founded in 2016 and we now have 6 training centers in Ningbo: Beian (headquaters), Hengyi, Fenghua, Vanke, Ganglong and Juyi training centers, with over 3,200 students. If you’re a TEFL qualified teacher, we have opportunities in each of our centers. Mosobo is the English school for teaching kids and teenagers based on DynEd and Big Fun, which are the most successful English Language Learning programs. Our students’ age ranges 3-18 years old, and our mission is to provide high-quality teaching to different communities in order to help children break down the communication barriers in the modern multicultural society. Salary: Salary will be within the range of 15,000RMB - 25,000RMB per month, based on education background and experience. In addition, an attractive package including accommodation allowance, paid leave, statutory holidays, social insurance etc. 1. Teach English to students aged from 3-18 years old in a class which contains 8-12 kids. 2. Lesson planning and preparation as well as curriculum development. 3. Supervise the test and give level tests. 4. Assist administration including intake and placement of students and record attendance. 6. Attend all scheduled meetings where his/her presence is required unless those meetings occur during the employee’s holidays or the employee’s day off. 7. Other tasks assigned by the Education Department and our school in his/her working time. Note: As for a Non-English native speaker, as long as you obtained a bachelor degree or above in English, linguistics, education or other related subjects in English-speaking countries, you are eligible to apply for a Teaching Visa. If you enjoy teaching English and working in China, please send your CV, an self-introduction video (3-5minutes), the first page of your passport, bachelor degree, TEFL, TESOL or equivalent, and visa(if you have) to the email address given on the job heading. If you know someone who could be interested in this position, share it with them! TEFL Lemon is a trusted ITTT partner and Stuart wanted to take our course to see what all the fuss is all about! Follow along as he works through all 20 units of the course and shares vlogs on each unit! Teach In Asia (TIA) is dedicated in providing enthusiastic individuals the opportunity to teach in schools and education centers, gain enriching work and life experience and valuable transferable skills and be fully immersed in the daily reality of Asia. We have multiple opportunities for TEFL qualified Kindergarten and Learning Center teachers in Hong Kong. • Teacher training such as TEFL, TESOL, CELTA, PGDE/PCEd, etc. • Salary ranges from HK$22,000 to HK$40,000 (approximately US$2,800 to US$5,000) per month depending on experience and qualifications. Email us at the address given on the job heading. Be sure to stay updated by liking us on Facebook. Please ‘like’ this if you would like to see more job postings similar to this. For both newly qualified and experienced teachers, one common concern when planning to teach English abroad is how to find accommodation that is comfortable, in a safe location and suitable for your personal needs. The good news is you are unlikely to be the first foreign teacher in the area you are heading for, so you will probably have several options to choose from. Here we break down the most common aspects of organizing accommodation when teaching abroad. This guide will help you answer the question: How much can I earn (and save) teaching English in Taiwan? You’ll also find information on the local cost of living in order to figure out how much to budget for when making the move to Taiwan. • Professional and enjoyable work environment In addition, we offer administrative and organisational support as well as assistance with relocation. Please email your CV to the address given on the job heading. We look forward to hearing from you! Did you know that South Korea has the world’s fastest wireless speeds on the planet, with an average download speed 33.5 megabits per second, nearly three times the average speed of second-place Hong Kong? The country also has an average upload speed of 17 megabits per second. One hundred percent of South Koreans have broadband access. Meten English was established in 2006 with the sole purpose of offering the English language to English learners. If you want to use your TEFL skills to teach online, then please read on. The first center opened in Chongqing back in 2006. Since then Meten English has expanded to 80 centers in 19 cities throughout China, including Shenzhen, Guangzhou, Dongguan, Zhongshan, Foshan, Beijing, Suzhou, Xiamen, Chengdu, Chongqing and Wuhan. Meten English currently employees over 2000 teaching and administrative employees including 350 Foreign English teachers and 400 local Chinese English teachers with regular opportunities for TEFL qualified teachers. Meten English has successfully taught more than 60, 000 students since 2006. Meten English’s R&D center is one of the only few Chinese owned English education companies in China to be registered with an internationally accredited R&D center. Our R&D center currently has over 100 course developers possessing masters or doctorate degrees. Meten English’s curriculum is unique and extremely effective for Chinese students striving to raise their English Levels. Our curriculum and textbooks are developed and designed by our own teaching department and have been revised over the years in order to best meet the needs of both our students and our teachers. Likeshuo affiliated with Meten International Educational Group, is a leading online study brand in China. With language training experience for more than 10 years and its strength in internet, it enables English learners to study English 24 hours a day and 365 days a year with real online English training product and service. Likeshuo is a comprehensive online education brand which covers General English, English for Young Learners, Overseas Examination and English for Professionals. Aided by the internet, global TEFL qualified teachers have registered in likeshuo and there are over 2000 striking foreign teachers from English speaking countries. 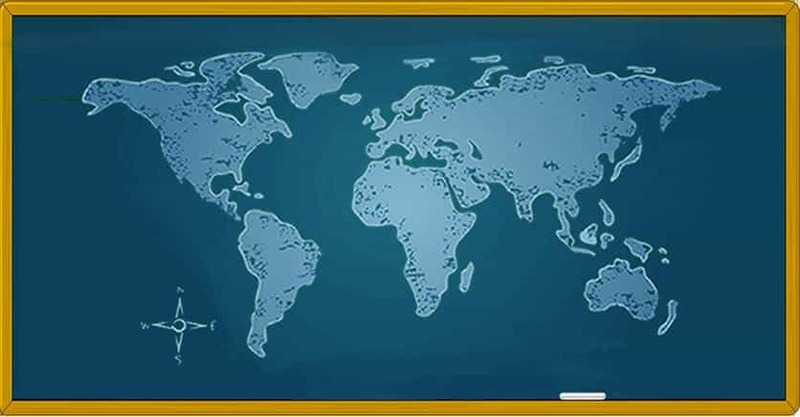 The intelligent and interactive learning platform allows students to expose themselves in the full-English environment at anytime and anywhere with computers/ tablets/telephones, which can increase students’ learning efficiency and interest in English. • Enjoy the freedom to teach wherever you have a good internet connection. • You don’t need to write lesson plans. • We provide the teaching materials on our interactive educational system. • Stable income per month: We will sign fixed time labor contract with teachers. • Attractive payment: You will get payment in you contract hours even though you don't have classes. • You will GET BOUNUS after class! • Short class!!! Every class is just 45mins!!! • Flexible hours!! You could decide your own working schedule!! We admire them and now we want to be them but what are those fundamental qualities that make teachers so great? Drawing on decades of experience of working with TEFL teachers across the globe, we have listed the top 10 qualities every great teacher should have below. The answer is: Absolutely - and here is why. For many people looking to teach English abroad, Europe is the number one dream destination. Whether your dreams involve the romance of Paris, the fine art of Florence, or the nightlife of Barcelona, the good news is there are plenty of teaching jobs available, even if you have no previous experience. If you are a native speaker of English, there is really nothing standing in your way. Lincoln School of Foreign Languages in Krakow, Poland is now recruiting native level teachers of English for Krakow and Warsaw for the summer 2019 and/or academic year 2019/2020. Established in 2002, Lincoln is one of the largest language schools in Krakow. Our school is located in central Krakow in the Pokutynski Palace. Applicants must have at least a BA and have completed a TEFL course such as CELTA, TESOL or equivalent university course, which includes real hands-on classroom teaching time. We accept applications from native level speakers of all English speaking countries. We offer help with finding accommodation, respectable pay and prospects for furthering your career within the company. Interviews for the position are to be conducted through Skype video conferencing, please ensure you have access to Skype, a microphone and a webcam before applying. Please send a cover letter along with your CV to the email address given on the job heading. So....is it 'on the weekend' or 'at the weekend' for you? 5 Comments Rachel Soubs "On the weekend". And it sort of grinds my gears when i see "at the weekend" in textbooks 😅 Elisa Dapena Cruz On the weekend. It is a day... Vikki Rennie At : British English! On : American English! Although it is common practice, there are still a few things to think about before you both pack your bags and head to the airport. Prudential First is comprised of educated, experienced professionals who work effectively with teachers and schools to bring them together through quality networking. The service is free for teachers. One of our partner schools in Gaziantep is hiring a middle school EFL teacher for the academic year 2019-2020 and will be conducting face to face and Skype interviews. If you are interested in this position, please send your CV and the documents below to the email address given on the job heading. We look forward to receiving the above-mentioned documents along with interview confirmation. The following guide will help you answer the question: How much can I earn (and save) teaching English in Thailand? You will also find information on the local cost of living in order to figure out how much to budget for when moving to Thailand. CEDEI English Program is searching for EFL teachers to start with us in September 2019. We have three sites in Cuenca, offering English classes to more than 1,000 students with a staff of at least 50 teachers. Teachers will generally teach four classes per cycle, each cycle lasting three months. Our teachers work with us for a minimum of 3 cycles, about a 9-month period. Start Date: Monday, September 16, 2019. Teachers are expected to arrive one week before the start date, in order to get settled in Cuenca, arrange accommodations, and participate in a three-day orientation before the cycle starts. The pay is $7.00 an hour. CEDEI Foundation is a non-profit organization. While teachers do not earn a lot of money by international standards, they do earn enough to live comfortably in Ecuador. It is also an opportunity to gain invaluable teaching experience and cultural exchange. Teachers are offered free Spanish classes and free dance classes. NOTE: Visa and airfare fees are the teacher's responsibility. Teachers have to pay for the total cost of the visa ($250) when they apply for it at the Ecuadorian Consulate, but CEDEI reimburses 50% of the cost when teachers are on staff. Don´t miss your tram! Apply and pay the deposit by April 14th and ask for €200 off the course balance at the Prague Center! The grammar worksheet is an integral part of any English class. It’s straight-forward and gets the job done. Nevertheless, both teachers and students always welcome alternatives to the, often so boring, worksheets. Here you go - ten alternatives to boring English worksheets! The English Language and Culture Programme (ELACP) are looking for reliable, enthusiastic and creative EFL teachers for our summer school/camp in Varna, Bulgaria. The camp is located in an idyllic setting, in the picturesque seaside village of Kranevo in Varna. This could be ideal as a working holiday or experience to try out your TEFL skills. All teaching materials are provided and induction is given at the Centre. Your task will be to teach international students reading, writing and speaking English. The students are aged between 7 and 17, from beginner to advanced level. There is also a small adult class for group leaders and parents. A big part of the programme is the drama workshop where the students learn and practise an English classic and put on a performance at the end of each session. A typical day consists of English lessons and drama workshop in the morning and early afternoon, then fun activities and excursions in the afternoon. There are barbeque days and entertainment most evenings. The camp has a swimming pool with sports court. Accommodation and meals are provided free of charge. All staff will stay in comfortable hotel accommodation in a shared room. Breakfast, lunch, dinner and evening snacks are provided at the hotel, or barbecue or packed lunch on days out. Most excursions are also free of charge. Applicants should be fluent in spoken and written English. He/she should have good general knowledge about life in an English speaking country and be familiar with most aspects of modern English culture and current affairs. The person should appreciate being around students of various ages. He/she should be flexible, tolerant, approachable and sociable. Please send your CV and cover letter to the email address given on the job heading. Interviews will be by Skype. China is the largest EFL market in the world. Beijing is not only the country capital but also one of the fastest-growing cities in Asia and the world. Beijing is a commercial, educational and cultural hub in China and has a lot to offer to anyone coming to visit. On top of that, Beijing is home to thousands of foreign English teachers, many of whom are not ready to leave and have made the city their permanent home base. We are Spain Internship, an experienced organisation in the internship market. Our school collaborators in Spain have opened exciting TEFL positions for motivated candidates with a "can do" attitude and with a native level of English. The schools are well-established and accredited institutions. They are seeking to expand their multinational and energetic team of teachers by welcoming a dynamic and enthusiastic undergraduate or recent graduate student with previous teaching experience. Contact Susanna Mettomaki at the email address given on the job heading. With so much to offer, from history and culture to fashion and cuisine, France is the dream destination for thousands of ESL teachers every year. If you want to join this number, take a look at the following guide to teaching English in France.